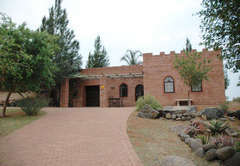 Castelo Sutil Guest House is one of the Bloemfontein guest houses and provides accommodation in 2 guest rooms for tourists visiting the Motheo Region. 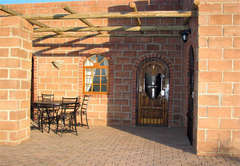 Castelo Sutil Guest House is located in the peaceful western side of Bloemfontein overlooking a game reserve, with breathtaking sunsets and a beautiful view. 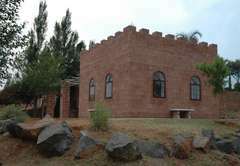 The rooms have en-suite bathrooms and are equipped with air conditioners, TV’s, DVD players, internet (tokens at reception), fridges, hairdryers and iron with board. Each room has its private door to the outside. Secure garage parking is available with remote control and alarm system. There is coffee, tea, rusks and fruit in the rooms. We do a continental / English breakfast on request. 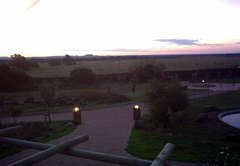 We are only 8km outside of town and 3.5km to your nearest shopping centre, yet very quiet. 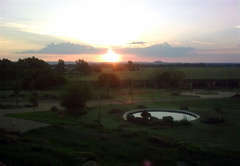 The Game Reserve across the road has a variety of activities, such as a hotel, health spa, conference rooms, bird watching, game viewing, game drives, horse riding, walking / hiking trails, 4x4 trails and 32 species of game. 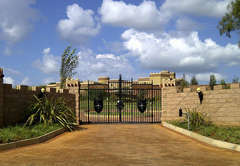 Visit the Cheetah Experience there, renowned cheetah breeding facility which was featured on Animal Planet, Pasella and Carte Blanche. Come eye to eye with real cheetah, lion, caracal, Canadian wolves and tiger. 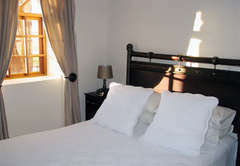 Our rooms have en-suite bathrooms and are equipped with air conditioners, TV’s, DVD players, internet (tokens at reception), fridges, hairdryers and iron with board. 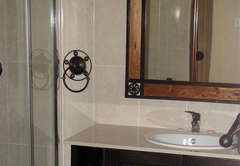 Each room has its private door to the outside. Secure garage parking is available with remote control and alarm system. 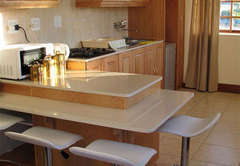 We have self catering facilities. There is coffee, tea, rusks and fruit in the rooms.